I’m taking a stance: I love Pizzeria da Lupo and their crispy, wood-fired, golden, flaky, with just-enough-salt-that-is-not-too-soft-or-doughy crust. And I’m not the only one saying their crust is epic. 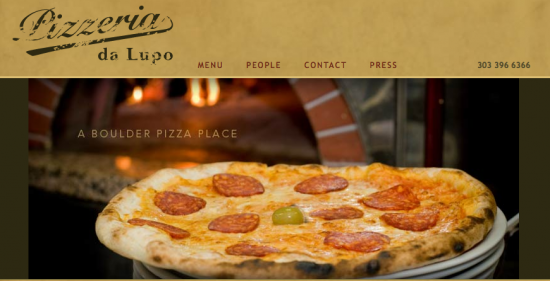 I have three favorite pizza spots in Boulder (there’s a lot of good pizza here) but da Lupo is at the top of my three. 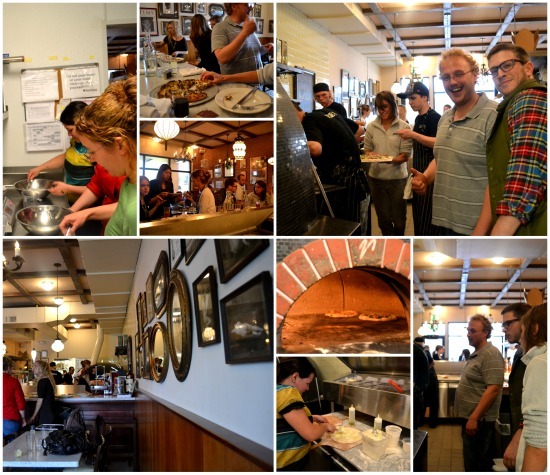 With famed Chef, Jim Cohen running Pizzeria da Lupo he describes it as, “A longtime dream come true,” this pizzeria is cozy, not pretentious and lively. Old family photos line the wall (I felt like I was back in Italy) and the kitchen is open, so you can watch the action as chef’s toss pizza in the air with flour on their arms and faces as they slide pizza’s in their $25,000 wood-fired oven. 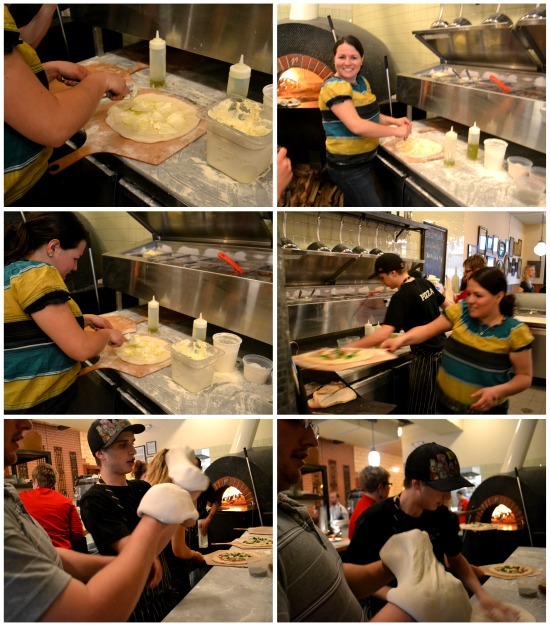 Recently, I had the chance to make pizza and mozzarella from scratch in the da Lupo kitchen. Follow our adventure! We started with appetizers with fresh castelvestrano olives, prosciutto, felina salami and toast. 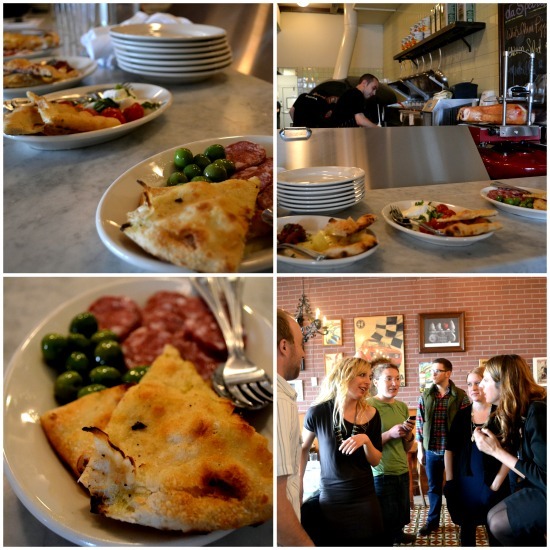 A group of bloggers and foodies alike, chatted it up before the hands on work began! 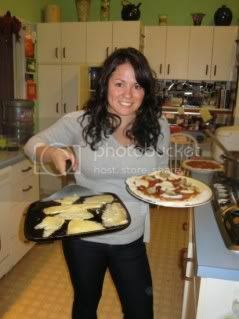 Next, my friend Megan and I learned how to make and stretch our own mozzarella. We started with fresh cheese curds and the saltiest, hottest water. Next, all you do is stretch the cheese and then round it up and soak in water before serving. I’ve had their creamy mozzarella before, but I was impressed at how easy it was. I need to start making my own. When I chose to make my pizza I couldn’t help but recreate their saliche with rapini, ricotta and house made mozzarella (it usually comes with fennel sausage). You can also top with arugula. This is one of my favorite of their pizzas. The ricotto and mozzarella make for a soft and rich, melt in your mouth taste. Wouldn’t you know it? We were so busy and exalted making the pizza and mozzarella that before I could get a shot of our beautiful pizzas, they were eaten. Yes, that’s how good their Naples style artisanal pizzas are. 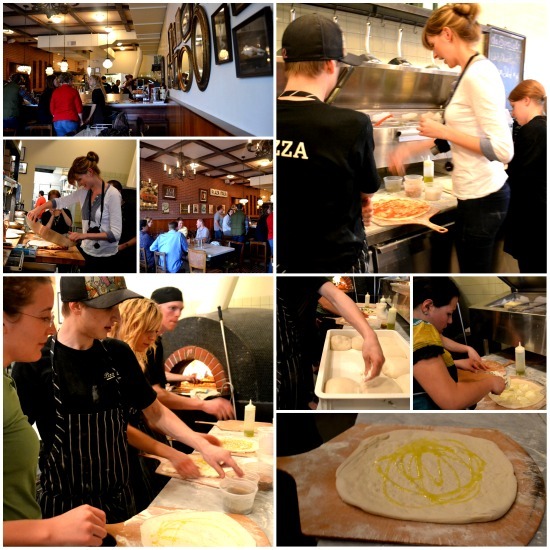 Special thanks to Pizzeria da Lupo for hosting us, letting us in your kitchen, tossing the dough, whipping up pizzas and stretching the mozzarella! Good food can and should, cater to these occasions. I promise you won’t be disappointed by da Lupos’ food. You can check out their menu here. Promise me that if you ever get to Salida, your first restaurant stop will be Amica’s. They have woodfired amazingness too. Clare, I would love to. As a child I have been to Salida and I believe driving through? Can’t wait to try it! YUM. I’m wishing I was living in Boulder right now just so I could devour one of their pizzas! This will be a must-see the next time I’m out there for travel! Thanks Grace, I love your blog!! Totally random, but I have that same shirt you’re wearing. The Esmerelda shirt I call it 🙂 Target, right? Great minds think alike.